Main St. Counseling’s new program, Accessible Counseling Support for Women and their Families, will expand care and support for women and their families that are struggling to overcome depression and anxiety, divorce, and domestic violence. 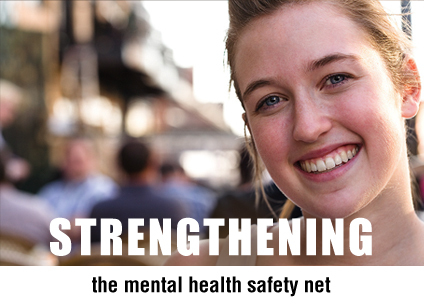 Funding from Partners for Health will allow Main St. Counseling Center to provide 1,500 accessible counseling sessions through this program, focusing on behavioral health, coping skills, and family relationships. JED Campus is a nationwide initiative designed to guide colleges and universities through a comprehensive process of systems, program and policy development to enhance student well-being and mental health, reduce substance abuse, and prevent suicide. Funding from Partners for Health will allow Montclair State University to participate in the JED Campus program. 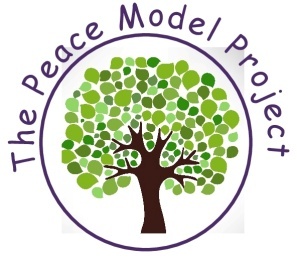 The goal of JED Campus is to assess and enhance the existing mental health programs while helping to create positive, lasting, systemic change in the campus community. 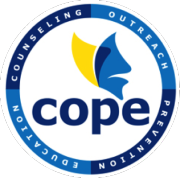 COPE Center’s Co-Occurring Disorders (COD) program treats a high percentage of substance dependency clients who also suffer from significant mental health problems. Funding from Partners for Health is helping COPE to expand the COD program and assist more clients as they work to address these co-occuring health concerns.